In 2008, Bernadette Smith’s daughter had achieved an amazing personal goal, losing 25 kilograms through the Weight Watchers programme. To maintain her fitness levels, she explored hula hooping, having been told that this was a great form of exercise, and that she could use a hula hoop to lose weight and tighten her tummy. Following the birth of her two children this was great news, she was looking for something to help her lose her ‘mummy tummy’. She searched a number of outlets, only to find small, thin, child sized hoops. Not large or heavy enough to do the job. Bernadette’s husband, Grant, made a hoop and away she went. Bernadette and Grant were surprised to learn that in the next three weeks their daughter had trimmed a significant amount off her waistline, and was having fun doing it. After doing some research Bernadette and Grant discovered that hula hooping was fast growing around the world as an adult fitness and dance workout. This re-emergence of the hula hoop had not yet made it to New Zealand so they jumped right in and began manufacturing hoops in their home town of Christchurch and soon began selling hula hoops all around New Zealand. 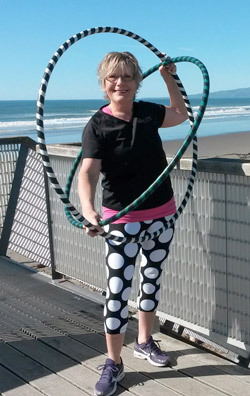 The weight, size and quality of the hoops made by In2hula make them perfect for adult hula hoop exercise and fun. With the growing interest in hula hooping Bernadette then began to offer classes teaching beginner hoop skills with a fitness focus. Since then In2Hula has continued to grow and now offers, HoopFitness classes, workplace and corporate sessions, personal training and the Hoop with Heart preschool physical activity programme in collaboration with the Heart Foundation. In2hula is recognised as a leader in the fitness industry. 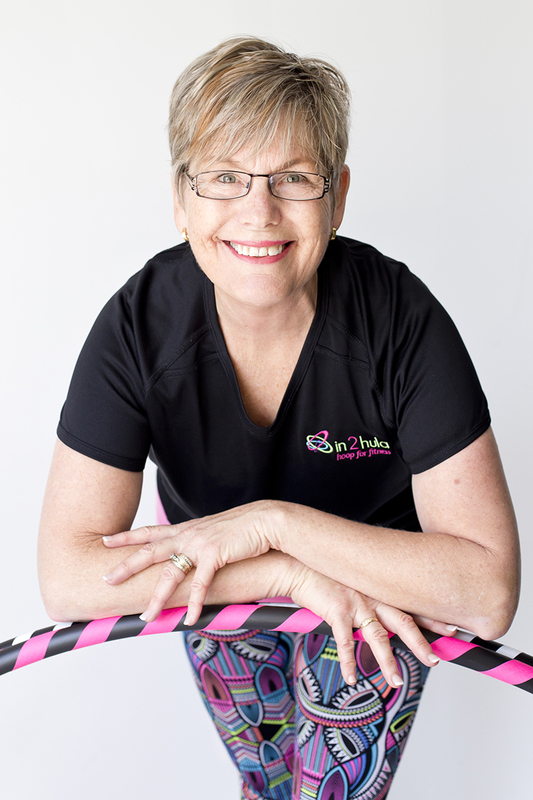 Bernadette Smith (creative hoop instructor) was nominated in the 2015 New Zealand Exercise Industry Awards ‘Own Choreography‘ section. 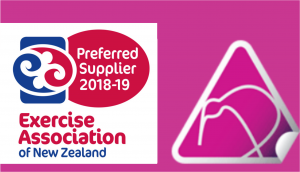 In 2016 In2Hula was recognised for the work they have been been doing throughout New Zealand and was awarded the Community Excellence Award by the Exercise Association of New Zealand. Bernadette Smith – aka The Hoop Lady, is the founding owner and passionate energy behind In2hula Ltd. Bernadette’s experience in business management spans over a number of industries. She has managed successful teams, and has a qualification in Sales Management. Her experience in the fitness industry began in 2008, when she stumbled upon what was to change her direction and her career. In2hula began manufacturing hula hoops and selling nationwide. Bernadette then quickly saw the opportunity to develop her skills and became a qualified Hoop instructor. The interest for classes grew and the momentum over the years has sustained a successful following of hoopers in Christchurch and around the country. In 2014 Bernadette made a decision to take the plunge and leave her full time corporate job to follow her passion. She is now a Qualified Group Fitness Instructor NZQA, and continues to build upon her training and professional development. I love the engaging environment that is created when hooping with others. It is a wonderful way to express yourself, and to lose yourself in the energy and flow of movement with the hoop. I love the community of support, friendship, encouragement, fun, laughter and collaboration hooping creates, and watching the magic of people achieving something they used to do, or never thought they could do. Mother, grandmother, sister, wife and experienced Primary School teacher. 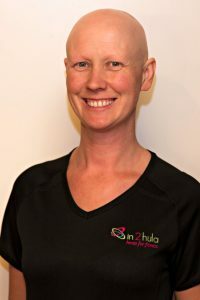 Having been introduced to Hula Hooping, and inspired by Bernadette’s enthusiasm and drive to promote fitness and wellbeing through hula hooping, I stepped down from full time teaching to embark on becoming a Hula Hoop Fitness Trainer under the guidance of Bernadette and In2hula beginning January 2019. It’s an exciting new venture, and I look forward to taking preschool, primary and adult classes in the Shirley, Belfast, Kaiapoi and Rangiora areas. Bex spent 10 years as an outdoor education instructor focusing on ropes activities. After working her way up into management she quickly realised she could not handle sitting at a computer most of the day. She knew she needed a change and a new challenge so in 2016 she completed the Certificate in Personal Training with S.I.T. 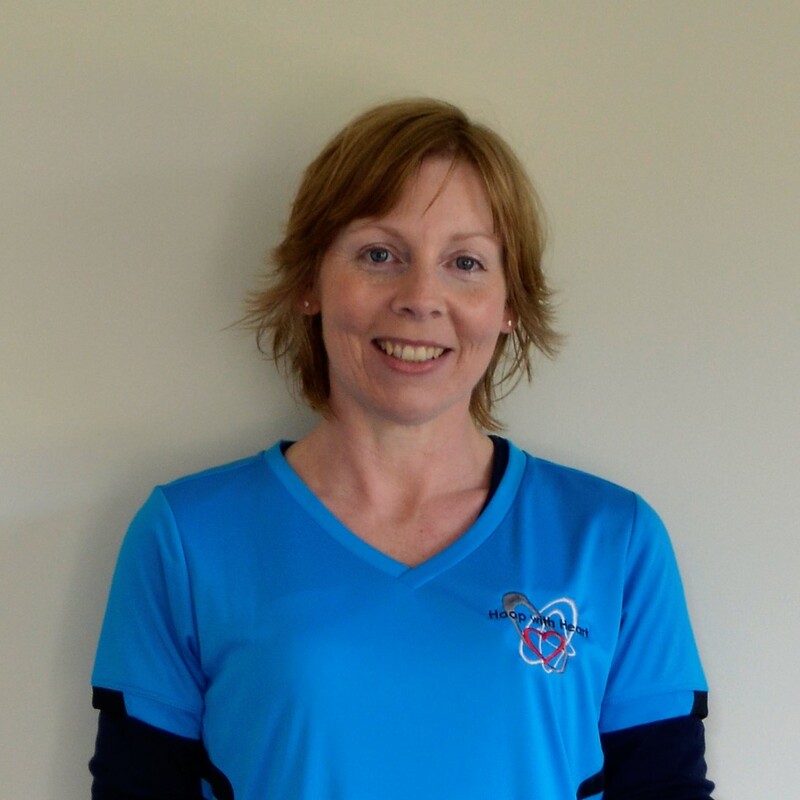 Bex is now a REPs Registered personal trainer and after meeting Bernadette at multiple local and nationwide events she’s has become one of the team of In2Hula instructors. Bex is a big advocate for body love and appreciation and wants to help as many people as she can love their bodies! Bex has had Alopecia since she was 16 years old, hence she’s bald. Janine Lattimore works for In2hula as an Instructor and also takes care of most of the business and online administration. She has a background in primary level teaching and youth work. Janine discovered the joy of hooping when she was almost 42 years old after seeing an advert in a local paper advertising adult hula hoop classes with a business called In2Hula. She had never been able to hula hoop as a child and had always wanted to be able to do it so she thought she would give it a go. From her first class she was hooked, even though it took her three or four weeks to be able to start to keep the hoop up around her waist, and she was the last person in the class to be able to do it. 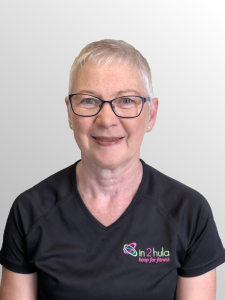 When she saw that Bernadette was looking for new instructors Janine said she was interested and Bernadette supported her to start a hoop class for children, and took her on to run some holiday programme sessions as well. Janine also joined with Katrina Muir to start up a monthly HoopJam gathering at Hagley Park. I love moving with the hoop to music, I love the challenge of learning new skills, I love how convenient and versatile it is and I love the meditative aspect of it in that it gets me out of my head and into the physical now of my body. I have also found that my digestive health has improved noticeably since I have been hooping almost daily. To get started simply choose your preferred class from the class schedule, pay online and get hooping! 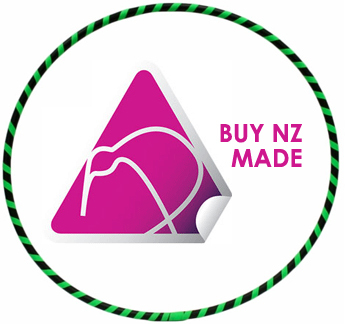 If you are in need of a hula hoop, buy online and enjoy our quality NZ made hoops. Thank you for visiting our website and I look forward to seeing you in our fun ‘n fit In2hula classes! We are gearing up to offer fun ‘n fitness classes around the country. Bernadette has created a Licensee Opportunity for those looking for an exciting new business option.